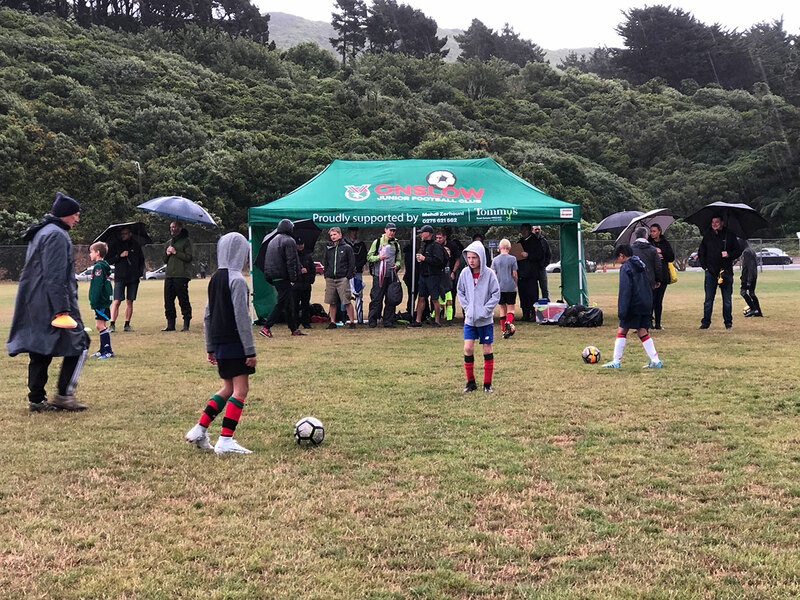 Sunday’s G11 and G12 trialist’s saw the first use of OJFC’s fabulous new marquee at Raroa Park. It got a thorough testing, as did the trialist’s, in the wild weather. Our Marquee is the generous gift of Mr Medhi Zerhouni of Tommy’s Realestate for which we are very grateful. It will provide our club members some much needed shelter at tournaments and other events.